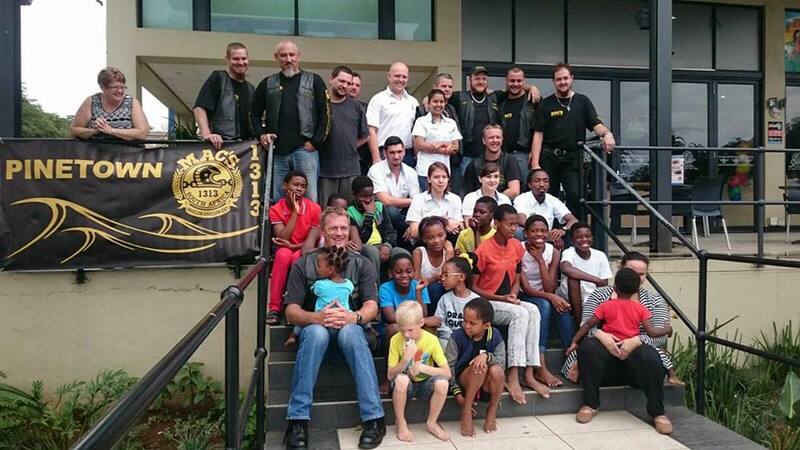 On Sunday 15th November the MAC’s (1313) Bike club organized a breakfast at Spur Bluff for the children and two caregivers. The children really enjoyed themselves and as they walked in went straight to the play area. When the bikers arrived with the great sound of their bikes, the fun began. Burgers & Chips, Cool drink and Ice Cream was the menu for the morning. They were spoiled by the bikers with Lucky Packets and by Spur with spur bags and sweets. Needless to say when we got home we had flying kids. A great time was had by all. Thank you to all the great bikers who give this big rough biker look on the outside but have hearts of Gold on the inside.